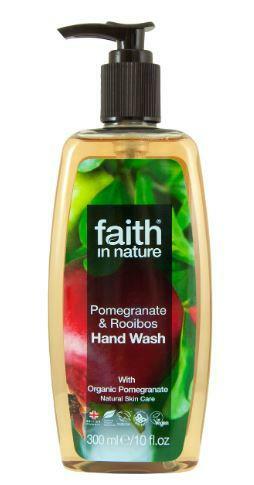 A cleansing hand wash by Faith in Nature, with antioxidant Pomegranate, Rooibos extracts and antibacterial Tea Tree oil. 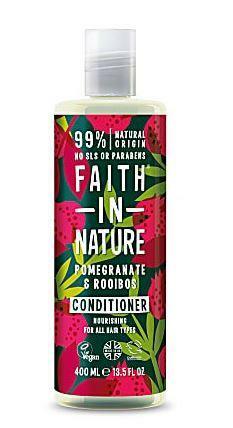 Please note; Faith in Nature have recently changed their labelling. The bottle you receive may have old or new labelling. 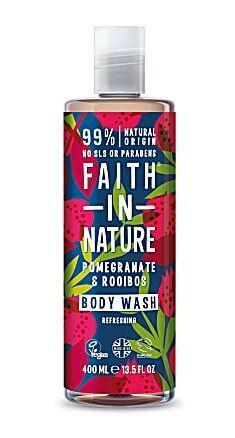 How to use Faith in Nature Pomegrante & Rooibos Hand Wash; Apply to wet hands, massage together to create a lather, rinse off and dry thoroughly. 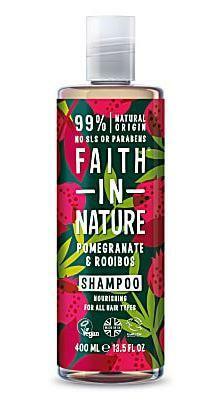 Packaging; Recyclable bottle. Check local recycling for dispenser.